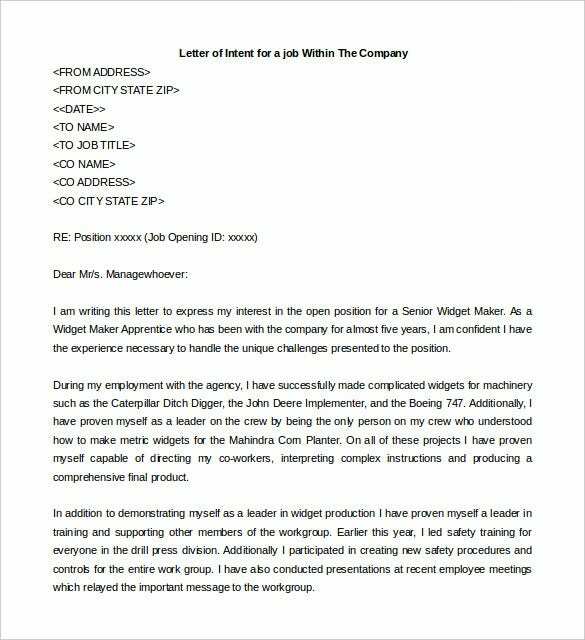 Letter Of Intent For A Job – 11+ Free Word, PDF Documents Download! 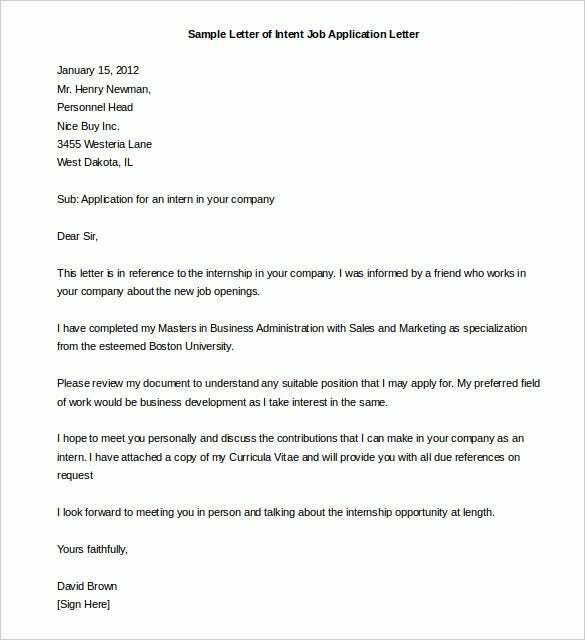 A letter of intent for a job Is somewhat same as cover letter that one sends with his resume. 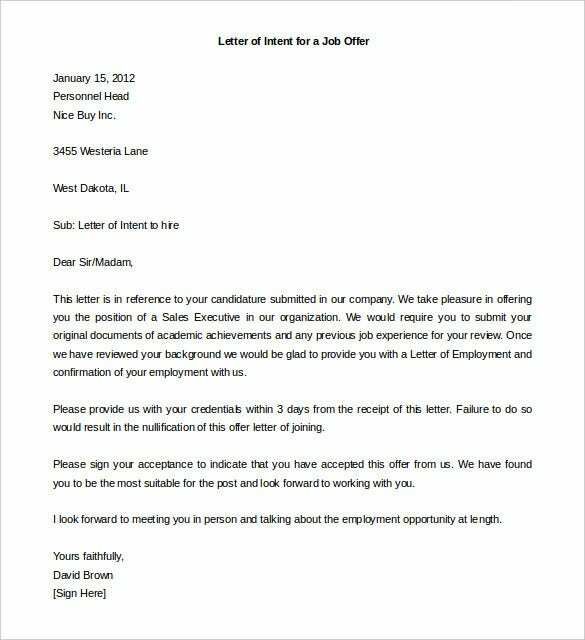 This employment letter of intent would explain your interest in a particular organization where you are applying for a job. It would also offer insights on your career objectives or goals or skills that will make you stand out from the rest. 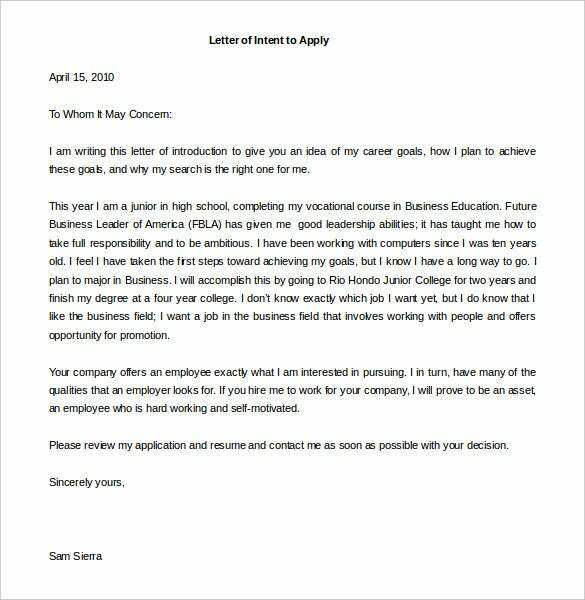 Your letter of intent for a job will offer a quick idea on your resume and your abilities to your prospective employer. 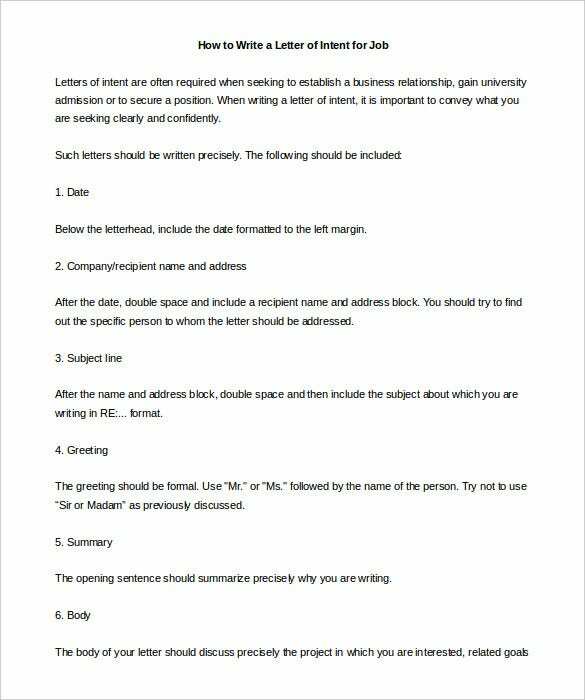 If you don’t know how to format a proper LOI for a job, take to the letter of intent for job templates. answers.yahoo.com – This file is for people looking to apply for a higher position in their company. This Word template file gives you the guideline of how to write one or you can simply download it. 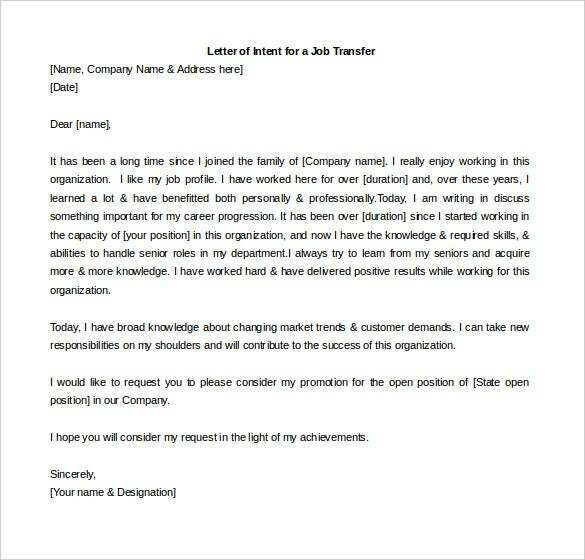 foundletters.com – This file in Word format is intended to help those in search of job transfers. This file contains a letter that has been written for you. The only thing required is for you to fill in the relevant information as per you liking. sophisticatededge.com – For people looking for a letter to apply for an opening in an institution this is for you. The file comes with the letter template which is editable in Word format to your specific information. foundletters.com – This Word file is for people looking to apply for an advertised job. This file in word format contains the letter needed to apply for one. The letter is fully written for that purpose only. foundletters.com – This letter is written in reference to candidature submission. 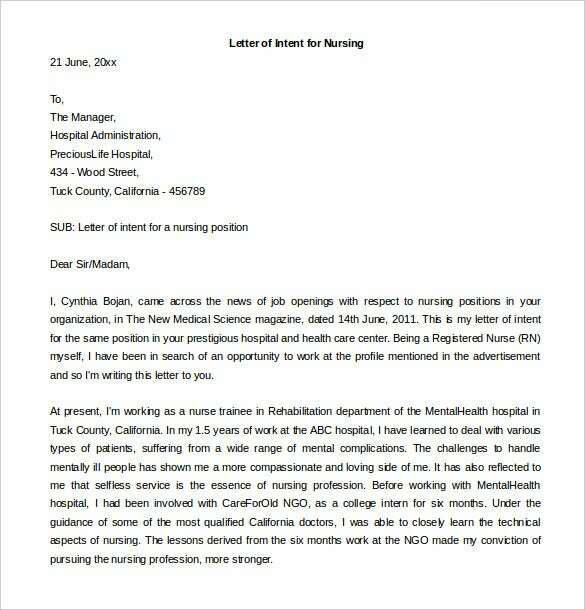 This letter seeks to give the candidate the positioned applied for. So as to write it properly, use this Word template. teacherph.com – This file is for teachers looking to apply for teaching positions in an institute. The file which is in Word format contains a letter that is purposely written to apply for the teaching job. 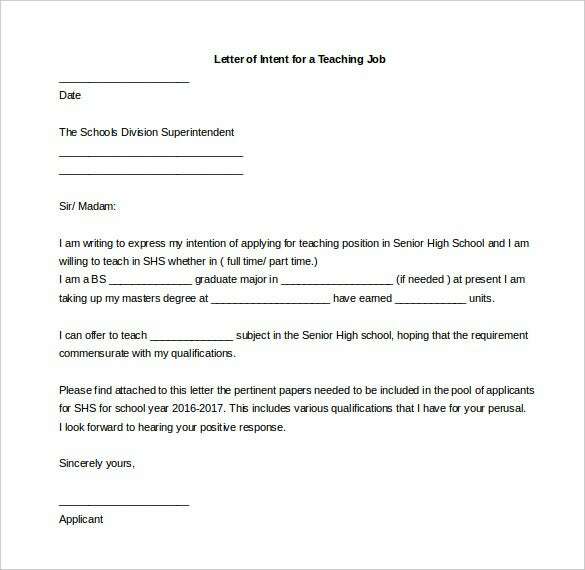 wuhsd.org – This file is for teachers looking to apply for teaching positions in an institute. The file which is in Word format contains a letter that is purposely written to apply for the teaching job. buzzle.com – On graduation nurses tend to look for available jobs. 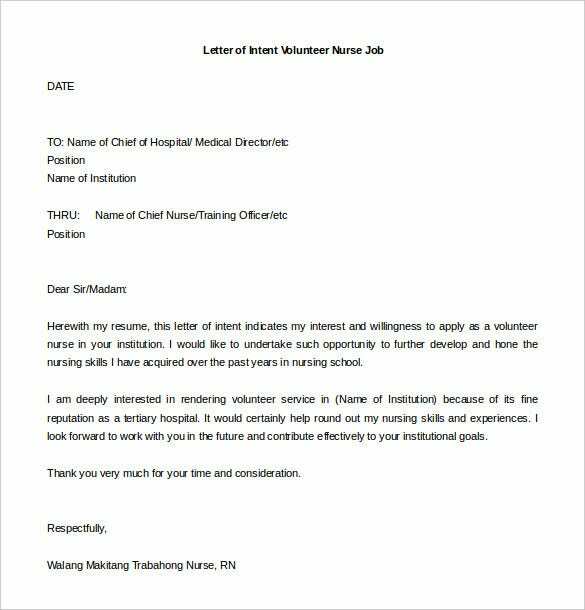 This file comes with a letter that helps you to apply for a job in any medical institute. This letter is readily printable in PDF. buzzle.com – This is for nurses looking to volunteer their skills in institutions. This file in Word editable format is here to help. The file contains a letter to help you apply for a position there. 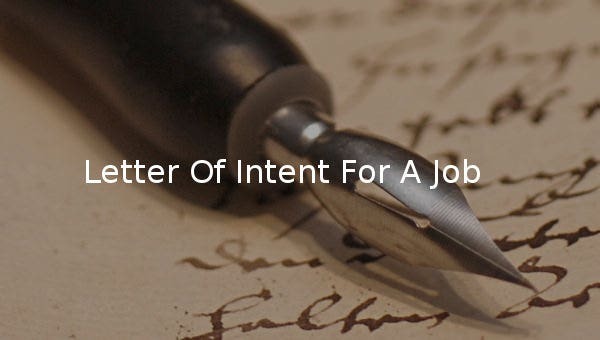 This file contains instructions on how to write a letter of job intent for a job. The Word template file gives the specific format for writing the letter. It starts by giving the positions that are mostly applied.